Technology is part of most people's lives these days, and of course, it's ever-changing. 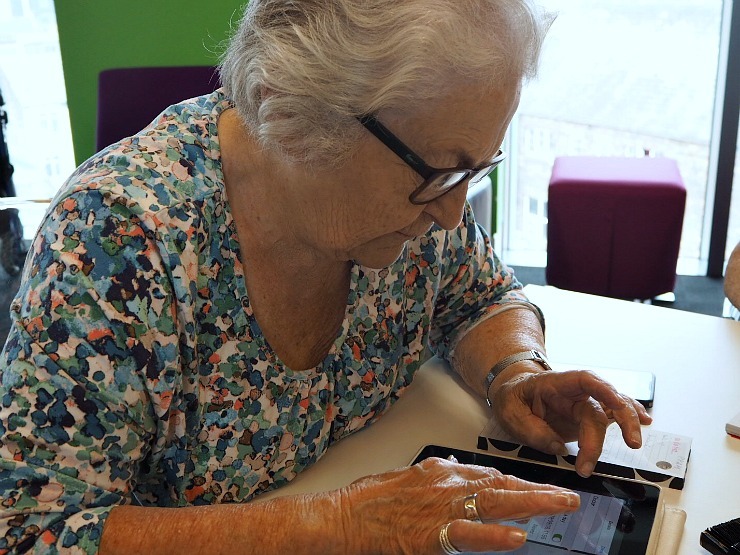 With smartphones, apps, smartwatches, smart TVs, laptops, desktop computers, tablets, streaming films, streaming music, online banking and online shopping, there is a lot to get to grips with, and that's just for starters. It can be bewildering at times even if you have been brought up with technology. If you haven't it can be overwhelming. As a full-time blogger, with two blogs, this one and Fly Drive Explore that I write with my husband, and a YouTube channel, I've had to get to grips with spreadsheets, web design, online banking, video creation, photo apps and social media. Even for someone with an I.T. degree like me, it's a lot to take in. Imagine if you weren't brought up with technology? It must be hard to ask for help without feeling silly. 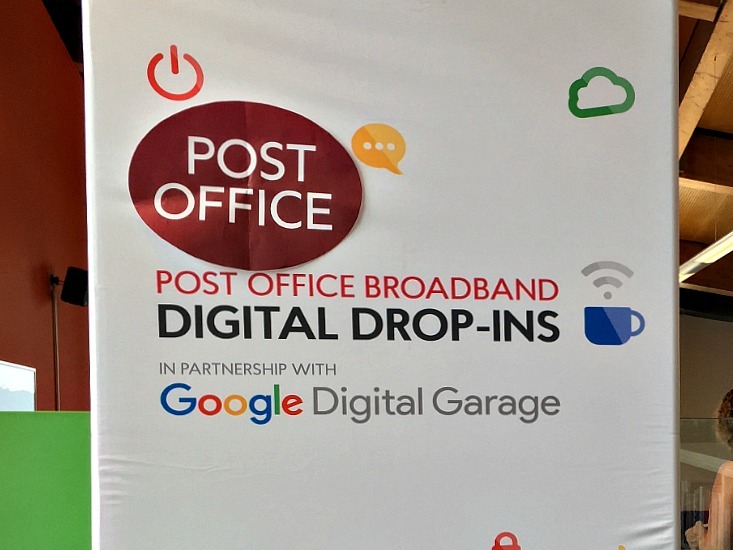 Well, the Post Office Broadband digital drop-in sessions run in conjunction with Google Digital Garage can help you out. Post Office Broadband decided to run these workshops after completing research on over 4000 people. The main results were 73 % of people would like to improve their tech skills, with over a fifth struggling to use everyday devices such as smartphones and apps. 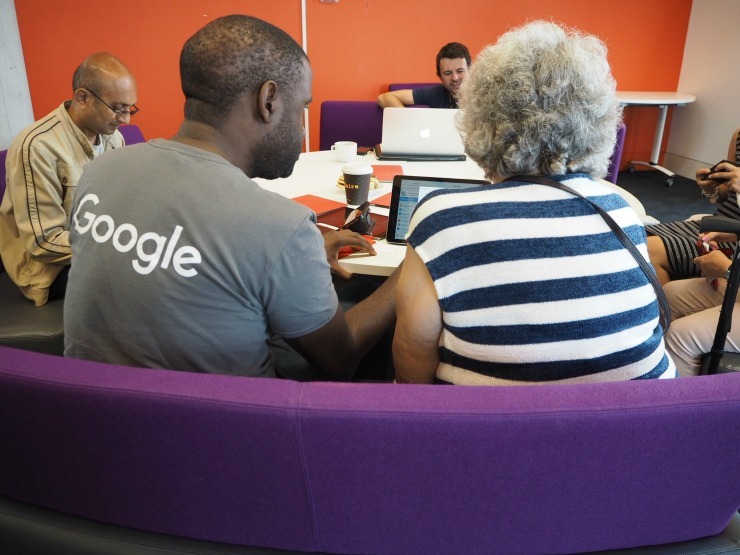 With this research in mind Post Office Broadband have teamed up with Google Digital Garage this summer to run these free digital training sessions in cities around the UK. 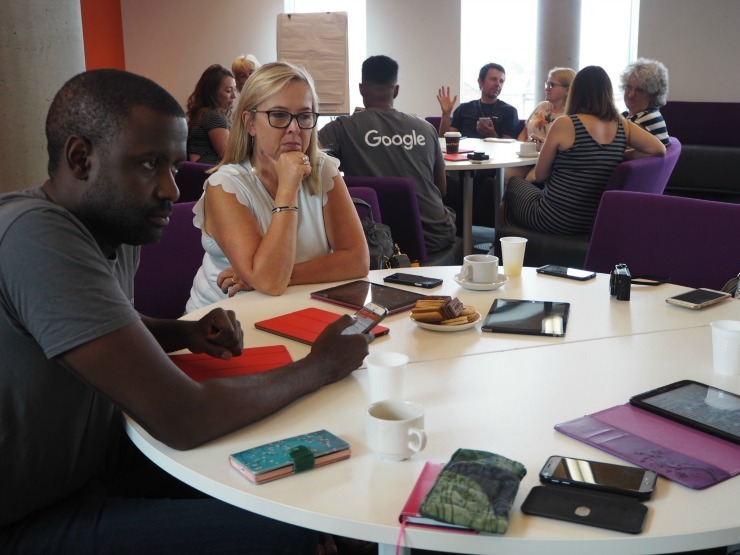 I was invited to pop down to my local session in Cardiff and find out what it is all about. 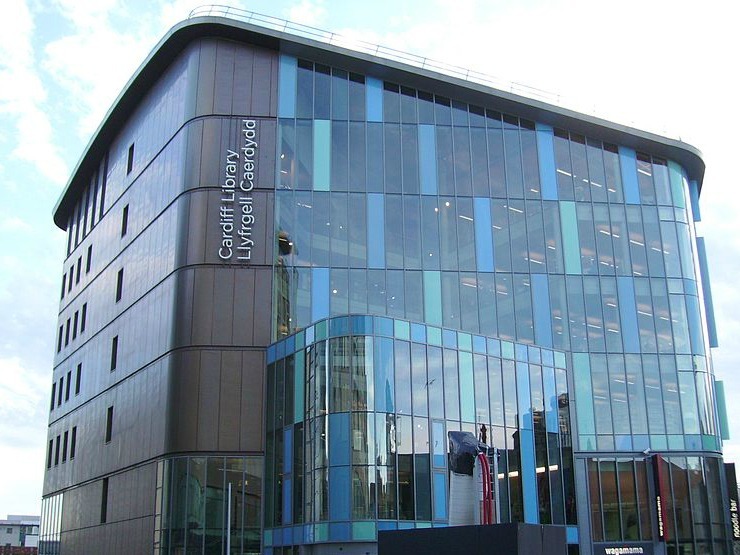 The session in Cardiff was based in the Central Libray next to John Lewis, a five-floor state of the art library. Lily from the Post Office team was there to welcome everyone as well as the Google guys and fellow bloggers Kaz from Ickle Pickles Life and Alina from We Made This Life. Immediately I was impressed with how welcoming and friendly everyone was, and it wasn't long before people were walking in asking for advice. 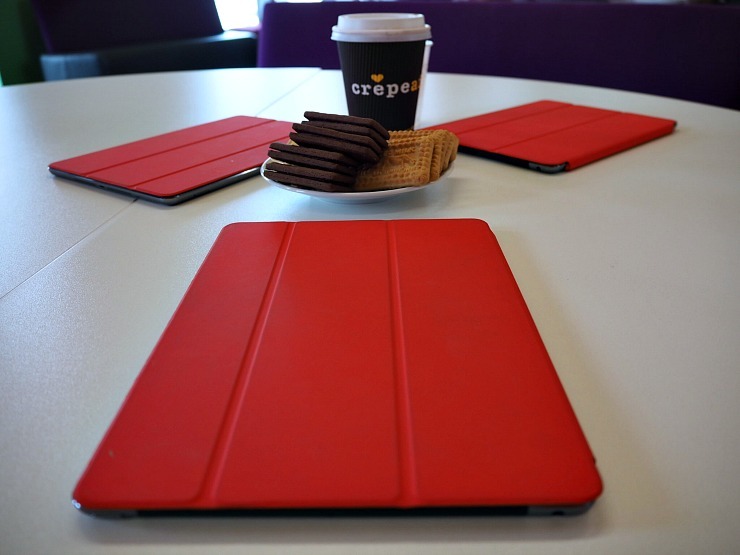 With lots of tea, coffee, biscuits and help we worked together to help solve problems and put the world to rights! People of all ages were welcomed, with the majority being of the older generation. I think that if it hadn't been held at the beginning of the school holidays we would have had more mums too, as happened in the other sessions run by the Post Office. Some themes seemed to appear a number of times. People often lack confidence when they try new technology and are afraid of doing something wrong. I guess not being afraid of doing things wrong is one way of learning - trying out different methods to find a solution and developing your problem-solving skills. For example, if you want to find out information, Google can be the font of knowledge but look at the authority of the site Google directs you to - is that site trusted and respected? You would feel confident in having health advice from the NHS website but not from a health website with no obvious credentials and that you hadn't heard of. I enjoyed talking to a lady called Jennifer. She wanted advice about her email as she had been hacked. The Google staff worked with her to help set up another email and advised her on what to do with passwords and security, never divulging her password and always signing out when using a shared computer. Sometimes the Google guys couldn't help with an issue but pointed the customers in the right direction. 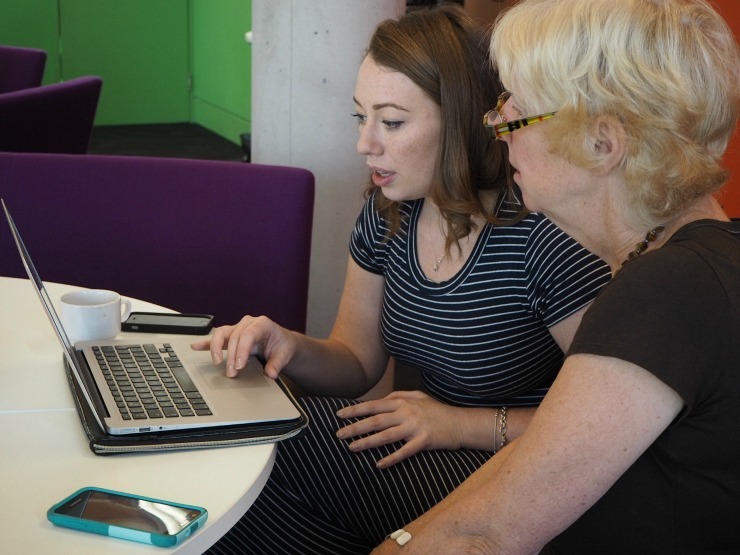 One such lady had a problem with her Ipad and iPhone not syncing and the Google digital staff helped her by writing down the issue for her to take to the Apple store. They were brilliant in dealing with people of different levels of competence in I.T. From a man who wanted to upskill his I.T. skills for a job and someone who had his own online business, to someone who wanted to know how to use apps on their phone, or write basic emails. Nothing really was a silly question, and with patience and an understanding of technology from basic issues to the more advanced knowledge, they helped people and were never condescending. The customers really seemed to enjoy the experience and trust the Post Office brand and this conjunction with Google. The next session is in Norwich and if you think this would appeal to you register here, for any upcoming sessions. The Post Office Broadband team would like to hold these free sessions on a regular basis up and down the country and if they get enough interest then they most definitely will. Do you know of anyone who would benefit from this service? Do you have any issues with technology? I love that they are free! I think people feel reassured that they are two well known and trusted names running these workshops. This sounds like such a great idea for people! I love they are open to helping anyone and everyone no matter the size of issue they are having! Anyone can pop in, it doesn't matter what level of knowledge you have, it's open to everyone and no one makes you feel silly for asking a question. There are a large number of people that would really benefit from this I think. It is and you can feel left behind if you don't have access to technology. 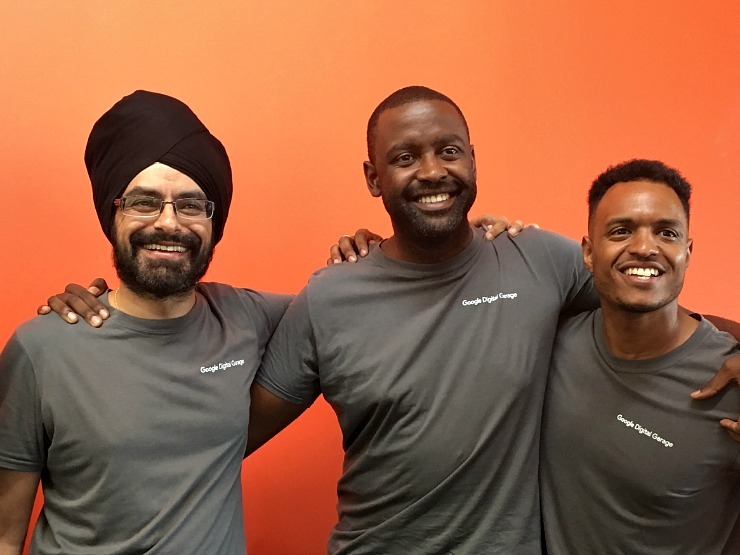 This sounds like a great opportunity for those needing digital support. These sound like a fantastic idea! I've heard lots of people talking about them. I hope so too Kaz. such a fab idea and I'm so glad it's been established as it will help many! What a great idea, getting people used to technology, that otherwise would shun away.